Schwalbe tubes are designed & manufactured to retain air pressure considerably longer than their competitors. Not only is each individual tube inflated & inserted into a mould to ensure that there is even wall thickness & excellent air retention, they are also stored under pressure for 24hrs to test air retention. Valve length of 40mm for Standard version. Weight 140g. Unfortunately not. 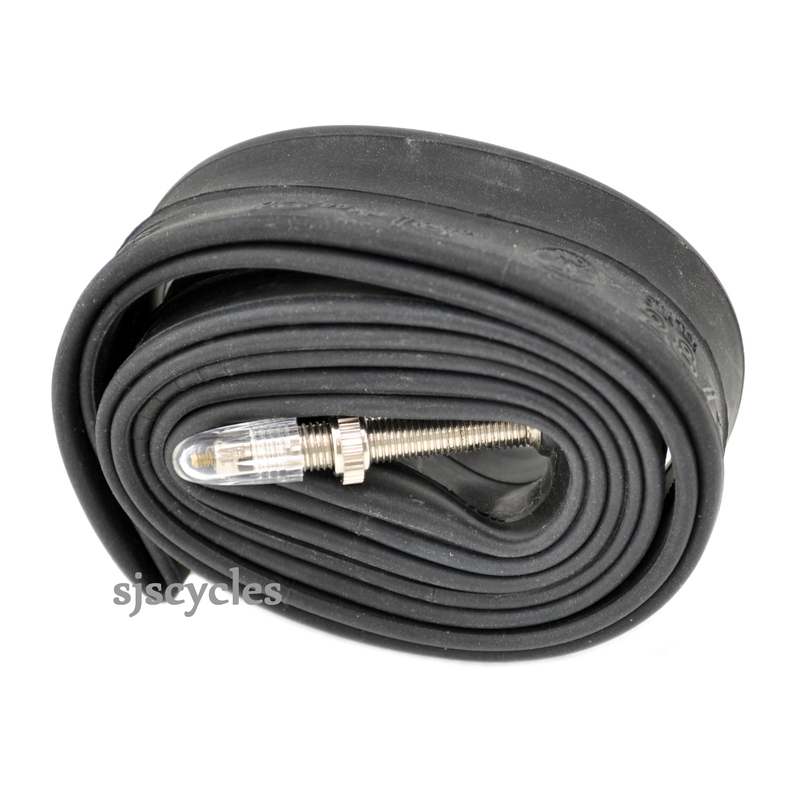 You would need SV11 tubes made by Schwalbe. Yes these will be suitable. Can I use these with 54-571 tires? These are slightly too narrow for the 54-571, you might be fine to use them but we would not suggest they are the most suitable. I have a mtb with 650b 584mm rims, can I fit slick type tyres say38mm, that are also for 584mm rims? Do rims differ for foldable and wire tyres? As both use the bead seat diameter measurement of 584mm then narrow slick tyres should be able to fit to the rim, I would however recommend checking with your rim manufacture though as to what is the smallest size tyre they'd recommend as 38mm tyres may be too narrow for some MTB rims. The rims themselves don't differ between folding and rigid tyres, any standard rim can take either of the two tyre types.